What are some must-have due diligence considerations? Buying, owning and selling investment real estate is always a series of calculated risks. “Make certain” are strong words. No matter your methods, you cannot know everything the seller knows. Over and above the standard due diligence list, buyers have ways to discover more about the property that either encourages or discourages them. Reader Question: Four long time friends want to make some real estate investments together. Our investment goals are similar; we are each high-income professionals, share similar risk tolerance and see real estate as a long-term investment opportunity. 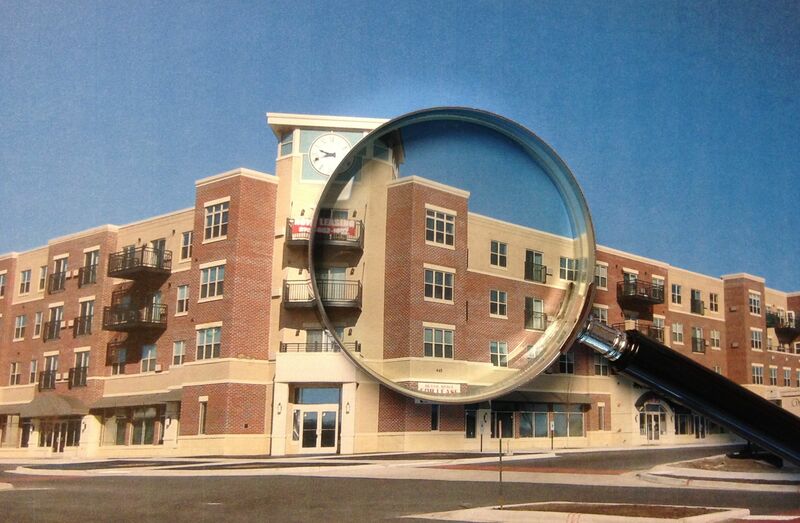 We have identified a 60-unit apartment building we are interested in pursuing. We wonder if there is some out-of-the-box due diligence tactics to make certain we do not make a mistake? Nathan G.
Monty’s Answer: Hello Nathan, and thank for your question. Buying, owning and selling investment real estate is always a series of calculated risks. “Make certain” are strong words. No matter your methods, you cannot know everything the seller knows. Over and above the standard due diligence list, buyers have ways to discover more about the property that either encourages or discourages them. It is always difficult to understand the motivation of the seller because many sellers do not share their core beliefs, or may even mislead or miscommunicate their ideas to create an image of trust. As callous as this statement is I believe it to be true in many cases. Self-interest is to be expected, and it is their right to protect their interests. Business ethics is a subject that is not black and white. It is a subject that involves various shades of gray depending on with whom you are talking. Choose which transactions to employ which tactics carefully. While none of these ideas is illegal (to the best of my knowledge) they could be considered unfair or not in good faith by some sellers where other sellers probably have done something similar, or further out-of-the-box, themselves. I have never witnessed any one buyer applying each of these tactics on a single property. Here are tactics I have seen. 1. Determine the tenants’ place of employment. This data will be on the rental application, but not on the rent roll. If 25 of the tenants are with the same company, and a move to Mexico is announced 30 days after the sale closes, your vacancy rate could skyrocket. 2. Visit with multiple tenants who have moved out of the apartments. You can determine this by comparing year-to-year rent rolls. Look for patterns in the reason they moved out. Getting closer to work is one thing, moving away from drug dealers is a different story. 3. Get the financials both annually and monthly. Look for patterns in vacancy swings. If you find one, learn what creates it every year. When you hear the answer, trust it – but verify. 4. Visit the property unescorted on multiple occasions. Visit in the early morning, mid-day, late afternoon and midnight. You will learn something about your potential tenants and how the building functions. Do tenants congregate in appropriate places? Are there vehicles with stale damage? Is the parking lot well lit? Do you feel safe? It can be surprising what you learn visiting unannounced. 5. Check with the local police department. Tell them you are considering buying the building and ask if you could do anything to help them in the neighborhood. You will learn if the building has a reputation. The best thing that can happen on that visit is they will have trouble placing the property. 6. Locate the single-family homes closest to the property and canvas them. Go to multiple homes, possibly a half–dozen. Some owners may be timid, while other will talk your ear off. The goal is to learn what the neighborhood thinks of the property and how the building operates. 7. Determine the turnover rate by unit. Is the average occupancy per unit six months or six years? If it is six months and the building operates on a six-month lease, why are they not renewing? Serial leasing is expensive. 8. Identify the handyman or maintenance man. Take note of the vendors who perform service for the building and interview these folks. Ask them if there are any situations in the building they would change? It could take a number of calls, but you may hit the jackpot. 9. Find the closest neighborhood tavern or bar. Stop in for a drink and introduce yourself to the bartender. Talk with a long-term bartender who knows the neighborhood. They may have beneficial information. Split the call or visits up between the four partners. If time or inclination is an issue, hire someone that understands the apartment business. These tips will undoubtedly add value to your ability to make a good decision.